Cristina Aguilar is the verified author of this post. 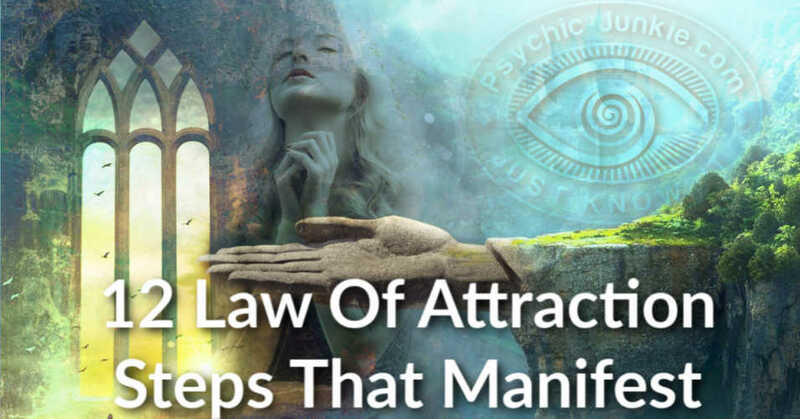 True Law Of Attraction Magic is what mystics, witches, sorcerer, and other earthly folk have practiced since the beginning of time. It is not about the ingredients in a spell that helps you manifest your desires, but the intention behind the ritual, the thought that creates or manifests what you want in life. The more you believe and have patience the greater probability the magic you perform will become a reality. There is really one simple rule one must remember when performing magic. You must realize and know that everything in this world, everyone, every plant, every rock everything is connected to you. This is why the old gypsies or wiccans gather herbs, rocks or whatever power of nature they could gather to conduct a spell. To create a spell they would gather things that reminded them of what they wanted to manifest. If it was good health, then all the herbs that promote good health, would be gathered. If they wanted to manifest strength, then rocks and things of nature that represented strength would be gathered. In reality, it’s never about the ingredients, it’s about the power you have to tap into everything in the universe through thought, meditation and intention. The magic of the old days is now explained through quantum physics. Science has proven we can change our lives, manifest our own destinies and realities. So people may argue that “magic” is a bunch of Hollywood baloney, but it’s not. It’s a way of living your life to the fullest in every aspect. 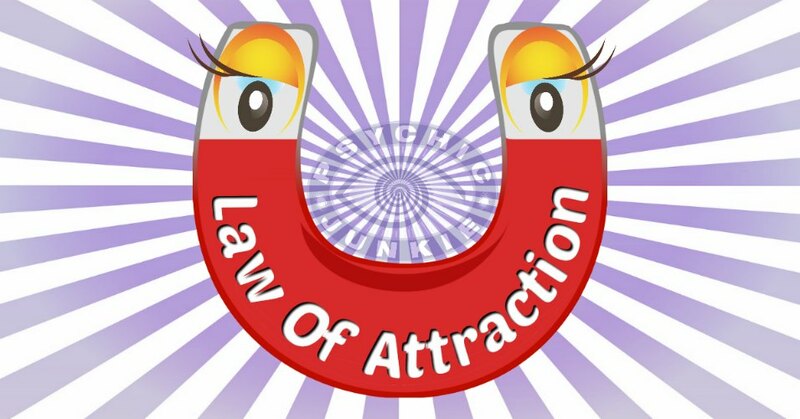 It’s using what scientists call “Law of Attraction” to attract all the good things you can into your life. In folk magic, each practitioner creates the formula or spell as they go along to focus on attracting the things they need or want in their lives.  They are also careful (the good ones anyway) not to put negative thoughts or energy into a spell less harm come back to them. There are simple steps to manifesting things you want by creating a law of attraction magical life. The more you practice, the more power you gain. When you decide to perform law of attraction magic, or cast a spell or even just sit and dream about what you want, then you must begin to practice the steps to developing your inner power. Nothing brings you more power than to be grateful for what you have now. This helps you focus on the good and let go of the bad energy that just attracts more bad energy. Gratitude builds faith, and faith helps you manifest what you want. With gratitude and noticing what comes your way you cannot manifest other things in your life. Why should the universe (God) respond to you when you are constantly accepting blessing but not seeing why you should be grateful for them? Be grateful for everything, for living and breathing another day, for finding a penny in the street, be grateful for the old lady who is driving at a slow pace in front of you, and slowing you down for a moment. Gratitude builds real law of attraction magic. Write down what you want. If you want more money write down how much you need that day or that months. If you want good health write down how you see yourself as healthy and be grateful for the health you do have. Write down how you wish to see yourself. Pretend the page you write on is a Genie and your wish is it’s command. The force is with you, as they say in the movie Star Wars, but you are also a part of a whole big universe, connected to it, to God or Source energy. Be aware your spirit is part of what makes the world go round and what makes it function. You are a part of a BIGGER force. You don’t have to go out and give big checks to charities to be generous. The greatest gifts one can give is time to others. Whether it’s listening to their woes or their triumphs. Listening to a child or doing a favor for someone is being generous. Giving to those in need and paying it forward is being generous. Focus on this rather than focusing on how to get others to love you, and love will come to you easily and effortlessly. This can be a tough one since we have thousands of thoughts each day, some of them very negative. We must be conscious of negative vibes and change them as soon as we are aware of them. More than likely if you step back for a bit, you can see what you’ve learned from it, or ask the universe what you need to learn about it. Hanging on to anger over a situation is a waste of your time and will only keep you in a bad vibe, let it go. Never say you are a loser, or fat or stupid never ask how you can be so dumb. Take the negative words out of your vocabulary because if you say you are a loser, then you are truly defining yourself as one. Stop that now! The most powerful witches or wise people know that by keeping your body healthy you have more power in your life. It’s important to recognize the mind body and spirit connection to create real law of attraction magic, so keeping a healthy lifestyle is key to creating more magic in your life. 9. Keep a daily journal. Hey Oprah did it and look where it got her. Write down your thoughts, desires, dreams, goals. Gather ideas or things of nature that will help you manifest these goals and write a “spell” in your journal. A book of shadows is actually a personal journal created by the practitioner. There is nothing more important to a magical life than the art of meditation. Or prayer. You don’t have to do anything fancy just clear your mind for at least 20 minutes a day. You can listen to soothing, music and just concentrate on the musical notes to clear your mind quickly and effortlessly. 11. Get rid of addictions. When you conquer something like stopping smoking or losing weight, becoming healthier, your law of attraction magical power just becomes stronger. It is a way of becoming more aware of the spirit already within you. You can transform anything, be, do or have anything. Magic begins in your mind and manifests into the reality or outcome you want. Being magical is just about being more spiritual. 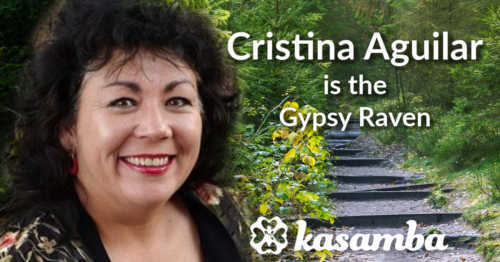 Cristina Aguilar (also known as Gypsy Raven) is a folklorist, spiritual adviser, expert Tarot reader and award-winning writer. She studied folk magic and learned simple folk traditions from her grandmother who was a village psychic in southern Spain. My whole life I’ve been blessed with a Law of Attraction magical trait, it’s happened so many times I can’t count, nor could my friends after I told them my case. Ok if I want or need something really bad I say "what if I found a compound bow?" I said, talking to my friends who both own bows at this point. On the walk home before practice, bam sitting on the side off the road a small red compound bow!! People have accused me of setting it up, or stealing, or lying about where I’m getting these things I need or really want! Weird’s me out thinking of it!! To add answers or comments about this page please use my contact form.  Please start the conversation with the heading [About Law Of Attraction Magic].